At a Tuna Club meeting some years ago, Dr. Guy Harvey shared some uncut video of blue marlin that he shot somewhere off the coast of South Africa. He and his crew, which included well-known Southern California photographer Bill Boyce, spent several weeks filming the underwater feeding behavior of blue marlin. 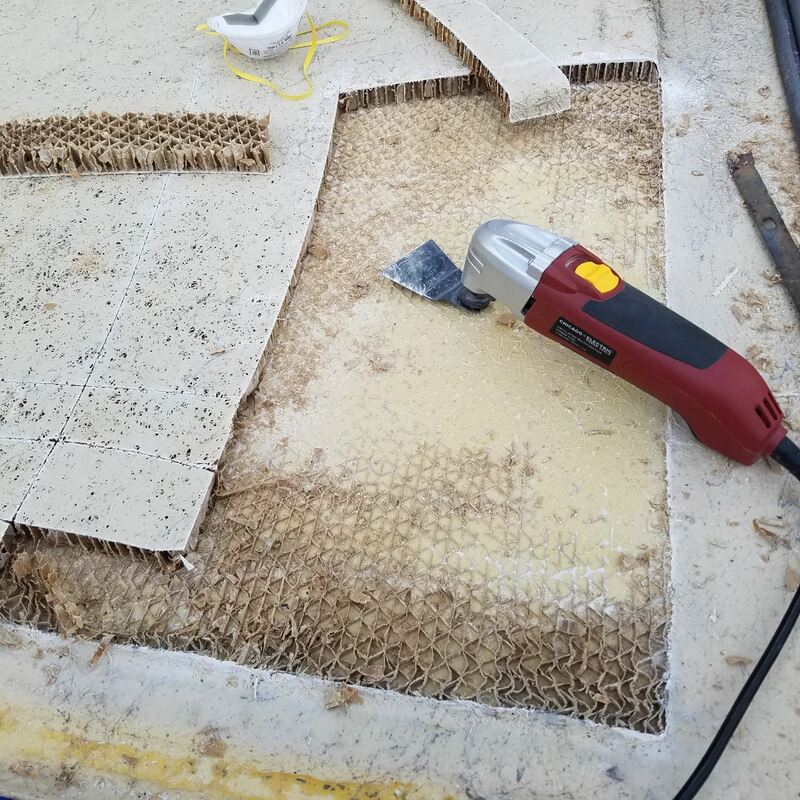 In the video, once the boat slowed to an idle, the divers hit the water and the crew began casting a variety of teasers, as well as live and dead baits and retrieved them at different speeds. Instead of disappearing when the boat stopped, the blues actually teased up behind the boat and remained there, surprising everyone. The crew kept casting and the divers kept filming, extending the event from a few minutes to nearly a half hour in one stop. Blues are notorious for being fast and seldom remain behind a boat for even a few seconds let alone more than a quarter of an hour. As I watched that film, my mind raced to one of those aha moments. 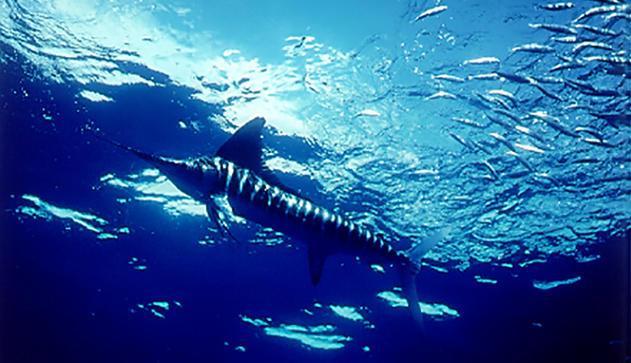 What about striped marlin, I wondered? 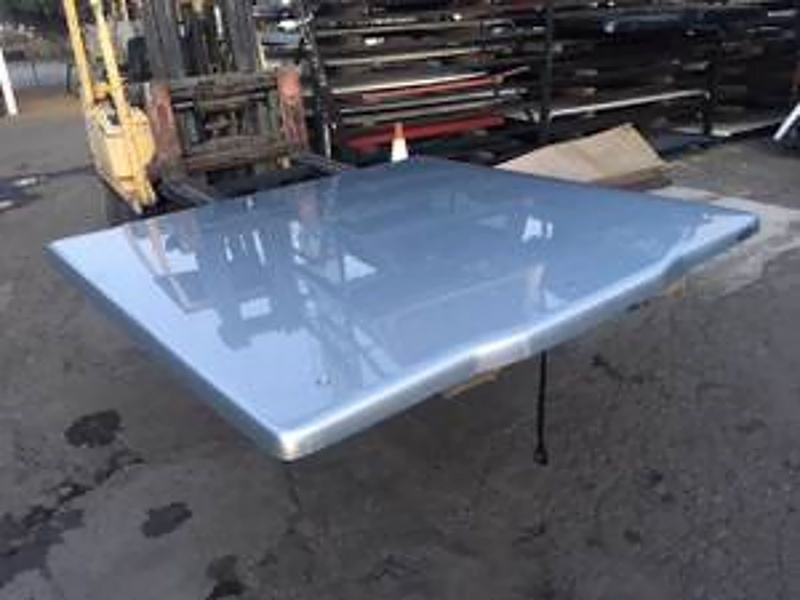 Was it possible the same techniques would work on them? 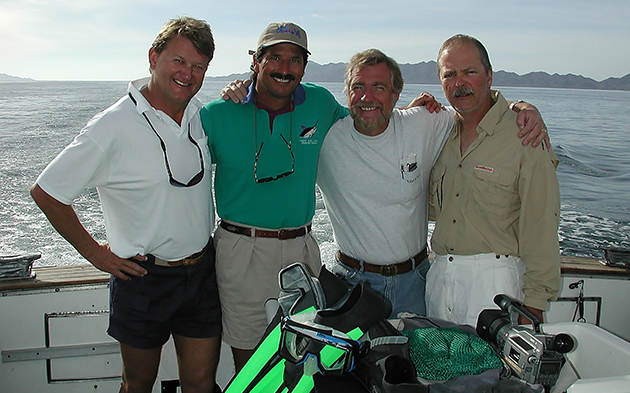 We began offering “marlin on the fly” trips off of Magdalena Bay in early 2000 as part of Baja on the Fly. The volume of billfish we found off Mag Bay year after year seemed to offer the perfect opportunity to see if Harvey’s Striped Marlin fishing technique would work on stripers. 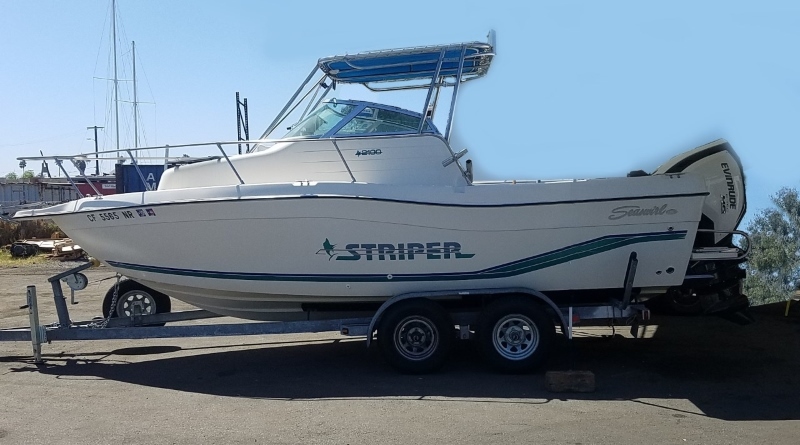 Testing Harvey’s method on stripers took some trial and error, and we replaced the standard trolling rods with longer casting rods equipped with two-speed reels and hookless teasers (3.5 Zuckers) tied on short, 36-inch leaders to allow casting. Like the blues in Harvey’s film, the striped marlin behaved the same way, allowing our crews to keep the marlin around the boat for extended periods of time without using any live bait allowing the marlin to remain focused on the flies cast at them by our anglers. We spent two weeks studying and filming the feeding behavior of billfish offshore of Magdalena Bay. Those were some of the most memorable weeks I have ever spent in Baja. Instead of focusing on catching fish, however, my assignment was to find the bait schools so the teams of scientists, divers and photographers could film the feeding fish. The trick was to locate bait at the beginning of the formation stage, when the ball — while well formed — could be seen racing across the surface with billfish in hot pursuit. The billfish would encircle the ball and force it to mill around in one place. Once that was accomplished, the action slowed dramatically. Many game fish species, including striped marlin, sailfish, dorado, tuna, wahoo and even sea lions and whales would join in the fray. This was the stage that the divers, cameras and equipment entered the water — right in the middle of the game fish. Once underwater, the divers observed that all of the different species seemed to feed in an orderly fashion. Competition, which you would normally expect among the species, was absent. Feeding continued until a large school of at least 5,000 sardines was whittled down to less than 100. Some of the schools would last as long as three hours before they were almost completely devoured. The schooling instinct, so evident up to this point, would suddenly be discarded and all of the remaining bait would take off in different directions with fish chasing them. With Guy Harvey and Bill Boyce encouraging me, I decided to take the plunge myself. Out came extra equipment and they helped me suit up. On the next event after the team had been in the water for 30 minutes, they motioned for me to come in and take a look. I jumped from the swimstep into the crystal-blue water and made my way out the short distance to where the team was filming a brilliantly lit marlin slowly circling a school of sardines. As the baitball changed directions, the light from the sun reflected off the sides of the sardines like neon lights switching on and off. 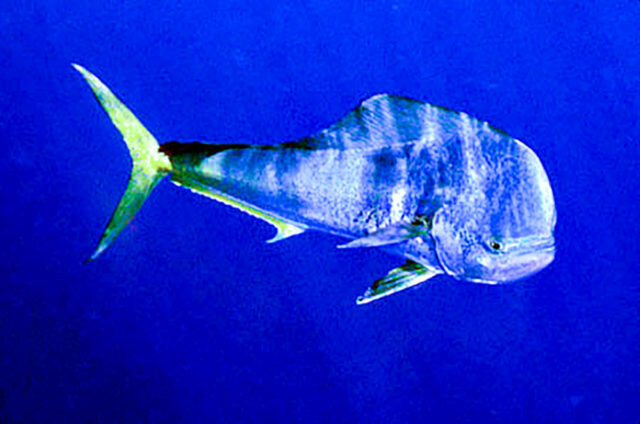 Though the striped marlin made up the predominant feeders, several dorado, with unmistakable golden, green and blue colors could be seen in the mix. Suddenly, out of the shadows came a dark, almost black silhouette with a much larger dorsal completely extended swimming straight toward the bait. It was a large sailfish! As it swam into the circling group, I would have expected some negative reaction from the other fish, but it was accepted and joined in the feeding process. I was so intrigued with the sight, I lost track of time and when Boyce tapped me on the shoulder and pointed in the direction of the boat, I had been in the water almost 30 minutes. When I popped to the surface to get my bearings, I was some 30 yards from the boat. After years of not diving, I will admit it was a bit of a physical challenge to make my way back. I spent the next week with the BBC television network, filming a segment of Blue Planet where we were fortunate enough to film a sei whale devouring a whole bait school, leaving behind nothing but scales… but that’s another story. The insight I gained about the underwater feeding behavior of different species from those filming excursions was a revelation that continues to serve me well on my many fishing trips. I have since worked with other film crews which has helped fine-tune our ability to assess the stage of a baitball once we spot them in the distance. Last year, while riding on Bill McWethy‘s TITAN 75 with Capt. Peter Groesbeck, I had another aha moment. We caught several blues and a black marlin fishing live bait down deep beneath the stern on a Cannon downrigger mounted in the starboard corner. Nothing showed on the surface when we hooked up. 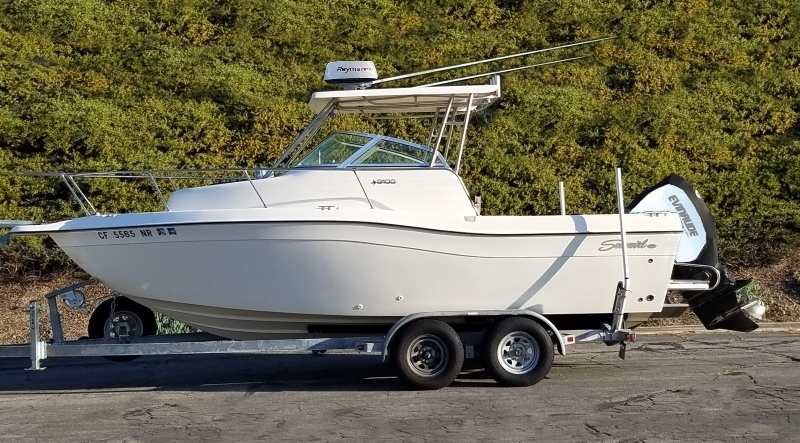 Over the winter I had a number of conversations with Mark Rayor of Jen Wren Sportfishing at East Cape regarding downriggers and the success I had seen on the TITAN 75. 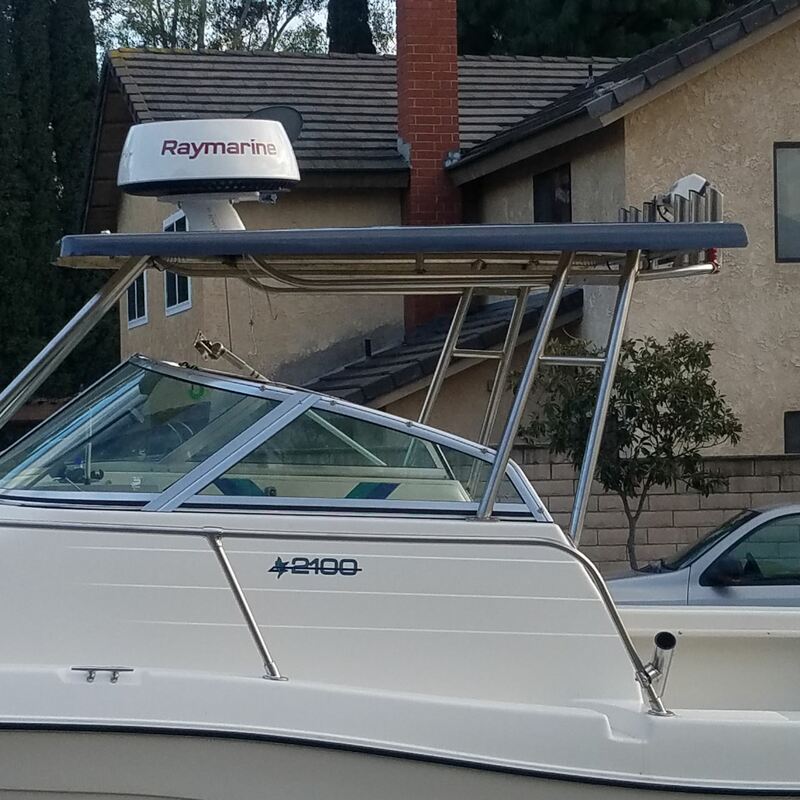 After many discussions with and advice from Groesbeck, Rayor ordered a Cannon downrigger to add to his well-equipped Cabo 35. It seems to be working. 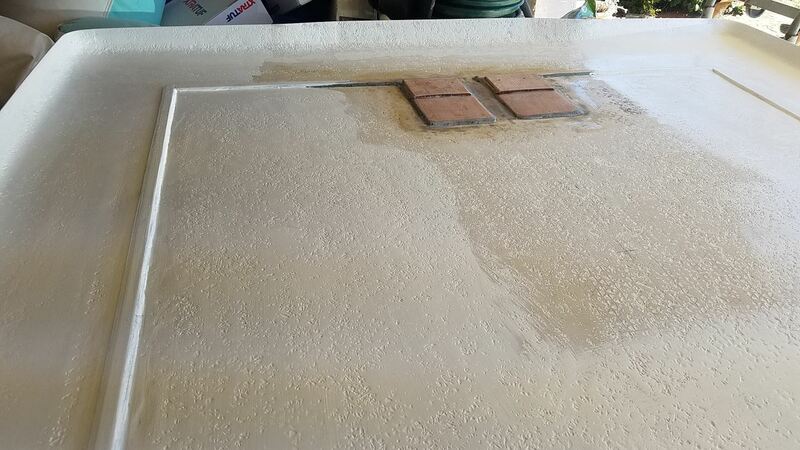 Rayor decided that it was the ideal situation to give his new downrigger a try. 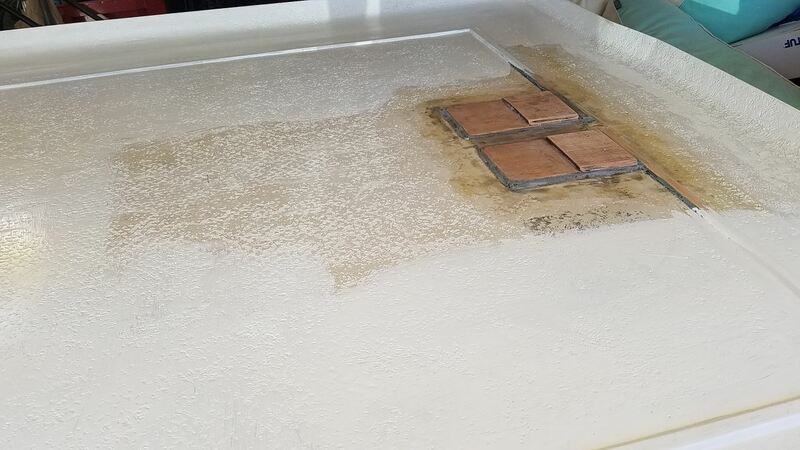 Instead of waiting for the fish to show on the surface, he dropped a live bait down deep below the boat. Fortunately, the bullet tuna were foaming on the surface so filling the tuna tubes took only a few drops with the sabiki rigs. Not only that, when they hooked the first fish deep on the downrigger, the school of marlin followed the hooked fish to the surface and they hung a second fish as well. There are always more Baja aha moments on the horizon. The next one is most likely fishing with kites. 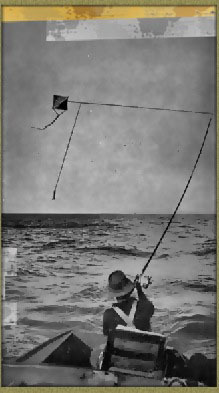 Oddly enough, kite-fishing was first developed by some gentlemen of the Tuna Club in the early 1900s before fading into obscurity on the West Coast. 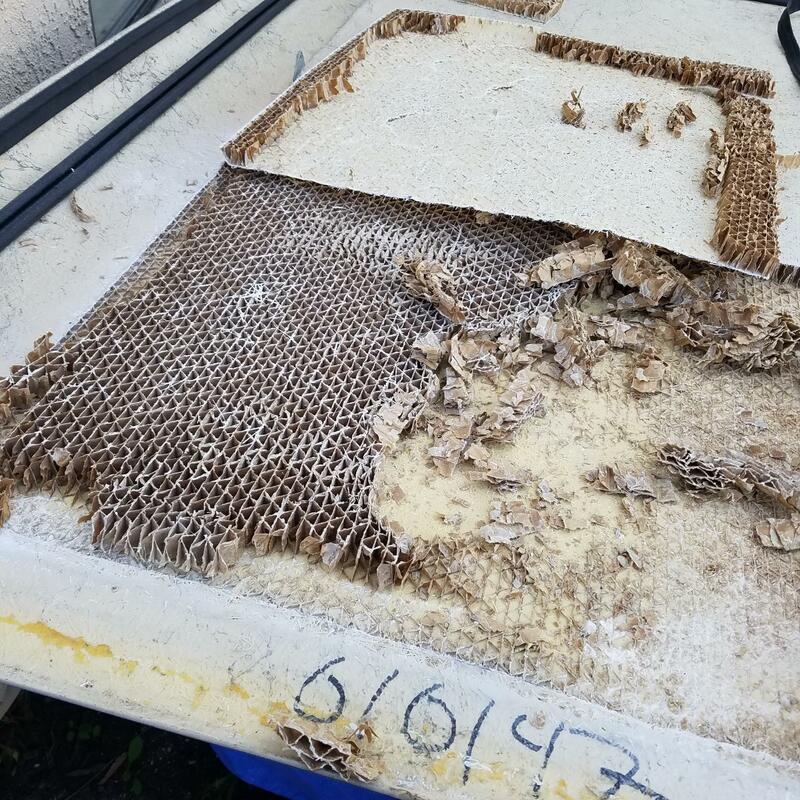 The technique is very popular on the East Coast, however, and some of the top guns in southern California geared up last season, only to be thwarted by the dismal local marlin fishing. The San Diego Long Range fleet has embraced the technique and if you read the reports from farther down the Baja peninsula you will find that some of the larger tuna from Gordo Bank are caught on kites. Sounds like another Baja aha moment in the making to me. 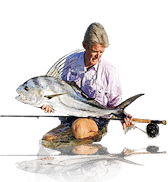 From here on out, Gary will be posting all of his Baja fishing reports in the Forum Section of www.bdoutdoors.com and leave this space to talk about his many fishing adventures along the Baja. 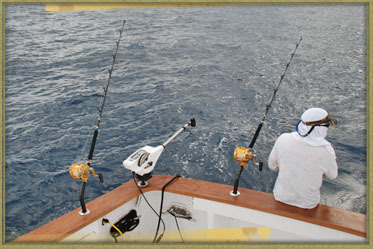 For up-to-date fishing action, make sure to visit the Baja Bytes section of the Mexico Fishing Reports. To send Gary your reports and photos, send an email to [email protected].